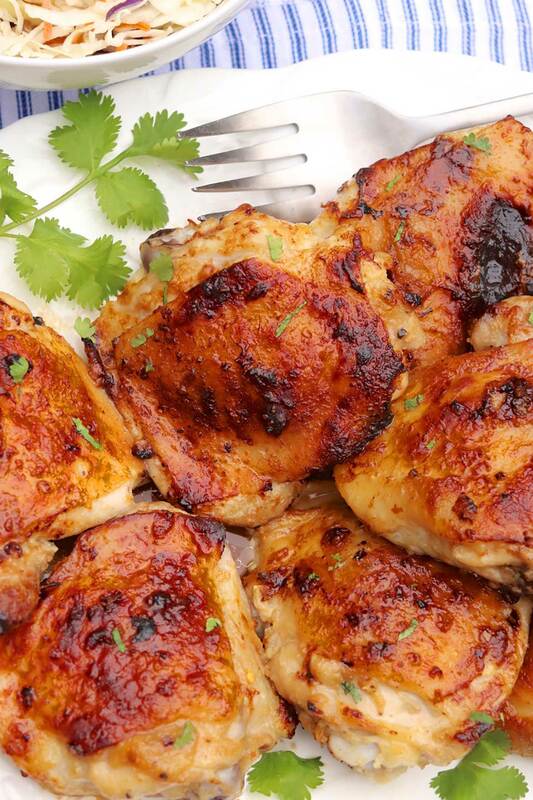 A few simple ingredients add sublime flavor and make this miso chicken dinner a winner! For added convenience, the chicken can be prepped in advance and refrigerated until ready to bake. Most of us associate miso with the traditional Japanese soup, but what exactly is it and how might we use it? Miso is essentially a thick paste that’s made by fermenting cooked soybeans with salt, water, and koji (a type of mold…stay with me here! ), and sometimes other ingredients like rice or barley. It’s often thought of as a nutritious super food and can serve as a flavorful, versatile kitchen condiment. During the fermentation process, which can occur over months or even years, miso develops a deep color and complex flavor. It also becomes a rich source of gut-healthy beneficial bacteria, commonly known as probiotics. If you seek out miso at the grocery store, you’ll likely notice several varieties, including white, yellow, and red. I once heard someone compare miso to beer: the color can range from pale white to dark chestnut, and generally speaking, the darker the color the more robust the flavor. Whether you choose white, yellow, or red miso, the container will look something like this. Do look for a gluten-free label if needed, as some miso is fermented with barley. 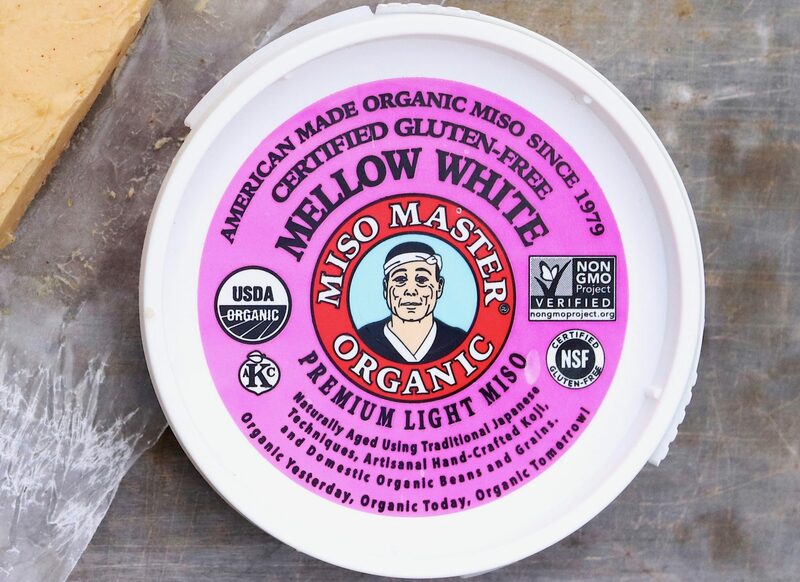 Accordingly, white miso, which has the shortest fermentation time, is the mildest option and well suited to dressings, light sauces and marinades. Red miso sits on the other end of the spectrum, with the longest fermentation, the deepest color, and the most concentrated taste. Its stronger flavor pairs well with heartier fare. For a middle-of-the-road, all-purpose alternative, I typically choose yellow miso. Its color is similar to hummus, although its texture is a bit denser. 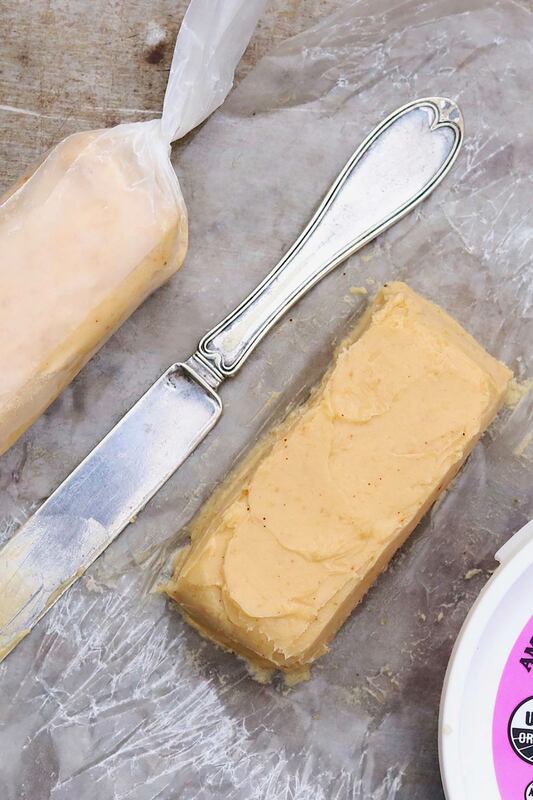 It can be stirred into sauces and soups, mixed with basic condiments like butter and mayonnaise, and will add subtle yet appealing flavor to a variety of meat and seafood recipes. The following miso chicken recipe is quite popular with my family and offers an easy introduction to cooking with miso. For added convenience, the dish may be prepared in advance and covered until ready to cook. You may certainly cook right away, but the extra time offers an added benefit, as the enzymes in miso also serve as a meat tenderizer. 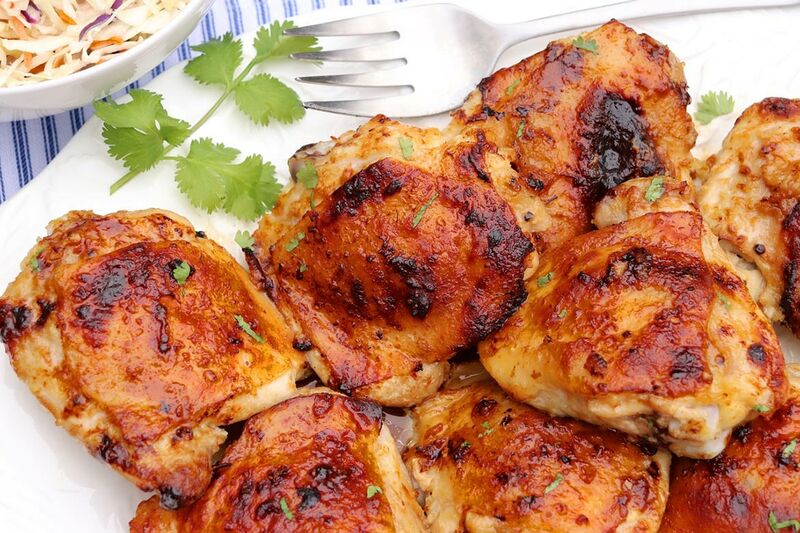 A few simple ingredients add sublime flavor and make this chicken dinner a winner! For added convenience, the chicken can be prepped in advance and refrigerated until ready to bake. Preheat the oven to 425 degrees F and line a large, rimmed baking sheet with foil. Combine the miso, butter, honey, vinegar, crushed red pepper, and black pepper in a large bowl. Mash the mixture with a fork until it’s well combined. Add the chicken to the bowl and massage the miso mixture all over it. (For best flavor, I like to work some of it under the skin, too.) Place the chicken in a single layer, skin side down, on the prepared baking sheet. Bake for 30-35 minutes, depending upon the size of the chicken pieces, turning the pieces skin-side up after the first 15 minutes. The internal temperature of the meat should register 160-165 degrees on a quick-read thermometer. If desired, broil the chicken for a minute or two, watching very closely, to further brown and crisp the skin. For less fat or if you’re simply not a fan, you can peel off the skin before coating with the miso mixture—or do half and half if some like skin and others don’t. For the ideal miso-to-chicken ratio, use the specified chicken weight as a guideline when buying. For example, if the chicken thighs are small, you’ll have enough miso mixture to coat a higher number of thighs. The recipe can easily be cut in half, but leftovers are rather tasty. Miso is high in salt, so limit consumption accordingly. Also, because miso is sometimes fermented with barley, check the label if gluten is an issue. Lastly, over 90% of soybean crops in the United States are genetically modified. If this is a concern, look for an organic option. High heat from cooking will kill the beneficial bacteria, but I’ve read that it doesn’t do away with the health benefits all together—and the flavor is worth enjoying in cooked and uncooked dishes alike. To best preserve flavor when adding miso to hot liquids like soup, add it towards the end of the cooking time and avoid boiling it. The shelf life of miso is quite long. Stored in the refrigerator (ideally with a piece of plastic wrap or parchment under the lid and directly on the surface), the lighter varieties will keep for about nine months and darker ones up to a year. I like to prepare the miso chicken in advance and then cover and refrigerate the coated chicken (right on the baking sheet) until ready to cook. You can certainly cook right away, but the extra time gives the miso to tenderize the chicken—and adds a helpful convenience factor. I had never cooked with miso before and this recipe inspired me to do so. 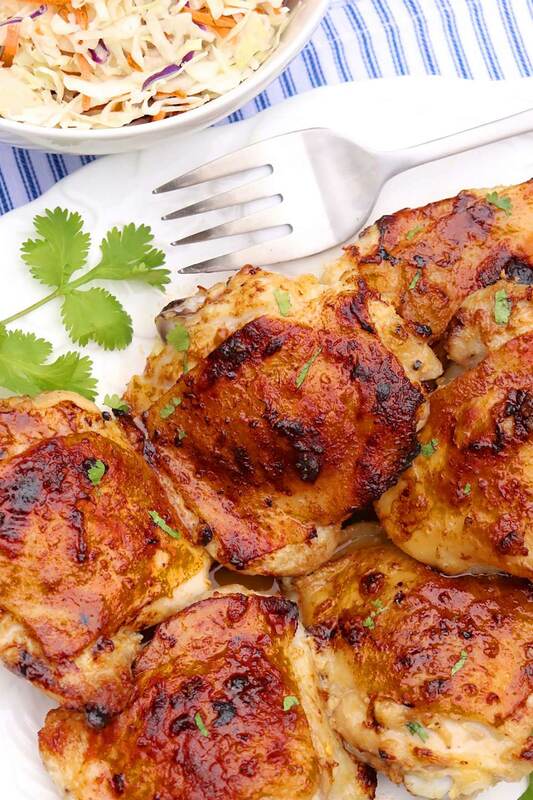 It’s mild yet offered a lovely flavor to the chicken and overall the recipe was so easy. So tender, too. It’s a keeper!! Great news, Martha. I’m delighted you enjoyed! I prepped this yesterday morning to cook when I returned from work. The chicken was extremely tender and the flavor was lovely. My kids even loved it. Thank you for a fresh and easy way to cook chicken! This is a great prep-ahead meal. So happy it was a success! My wife made this for dinner last night and I told her it is my new favorite chicken. Absolutely fantastic. I haven’t made a chicken dish with miso before – but I’m so down to make this! Thanks so much for sharing. It looks delicious and your pictures are great! Thank you, Billy. I’m hopeful you will enjoy!